Dubai, UAE; 30 July, 2018: 2XL, the homegrown luxury furniture and home décor brand in the UAE, has created a grand look for the bedroom with the launch of its Florenza bed in golden hue with a tinge of cream colour. The beautiful tufted style of the bed gives the room a sophisticated, glamourous look. 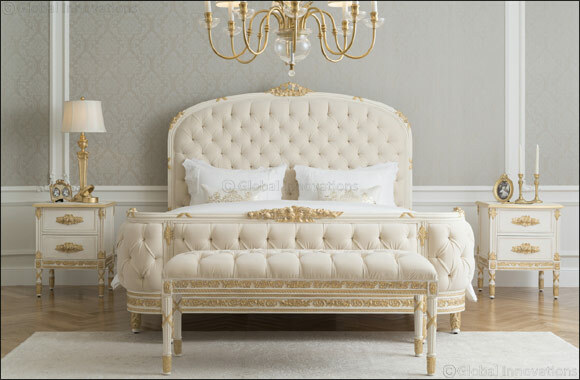 The artfully crafted legs add a touch of opulence to this elegant bed. The matching nightstands complete the look and are perfect for storing away essentials. The Florenza bed is available for AED 16,473 and the nightstand tables are available for AED 3,312 AED each.